LINESVILLE – Sometimes working a full-time job and finding the time and money to get a haircut can be tricky business which is why Owner of TLC Hair Salon Tracy Troth takes pride in offering affordable options, with flexible hours since she first opened her business in 2006 at its location of 6015 Route 6 in Linesville. (From Sept 14 edition). According to Troth she first got involved in cosmetology because of a friend of hers that saw her skill. Later around 2006 Troth decided to open up her own business in Linesville. Of some of the options Troth offers today at her business, TLC Salon she said includes $5 to $10 haircuts depending on how much hair she is working with, as well as offers highlights, perms and waxing and services men, women and children. Occasionally Trouth also does updos, plus offers barbering since she once worked alongside Tom the barber before his retirement years ago. While she is working at the salon Troth said she often brings along her two dogs as well. While the dogs are a contributing factor in bringing people in Troth said that many of her loyal customers have come to her over the years simply because they likes what she does. “I’ve had some faithful long-time customers that have followed me,” said Troth. When questioned on the reason why she has come to enjoy cosmetology over the years so much Troth most attributes to how she feels when helping others, whether it be at her business or in helping promote other local businesses within her hometown. “It makes people feel good,” said Troth. Hours at TLC Hair Salon include Monday 9 a.m. until 8 p.m. by appointment, Wednesday 9 a.m. until 1 p.m. walk-ins only, Thursday 1 p.m. until 8 p.m. by appointment, Fridays 9 a.m. until 3 p.m. by appointment, as well as Saturdays 9 a.m. until 1 p.m. for walk-ins only. For further information on TLC Salon please call (814) 683-5917. 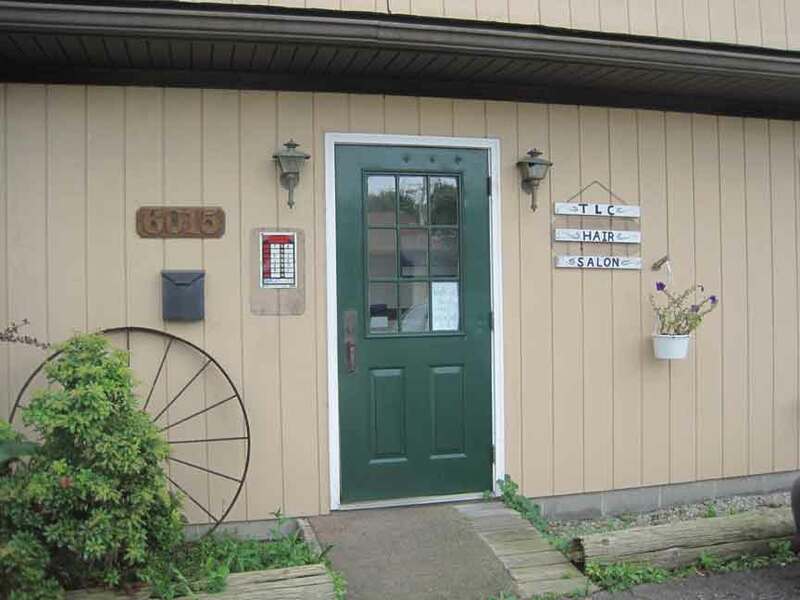 Pictured: The outside of TLC Hair Salon at its location of 6015 Route 6 on Friday, Sept. 7 within Linesville, Pa.